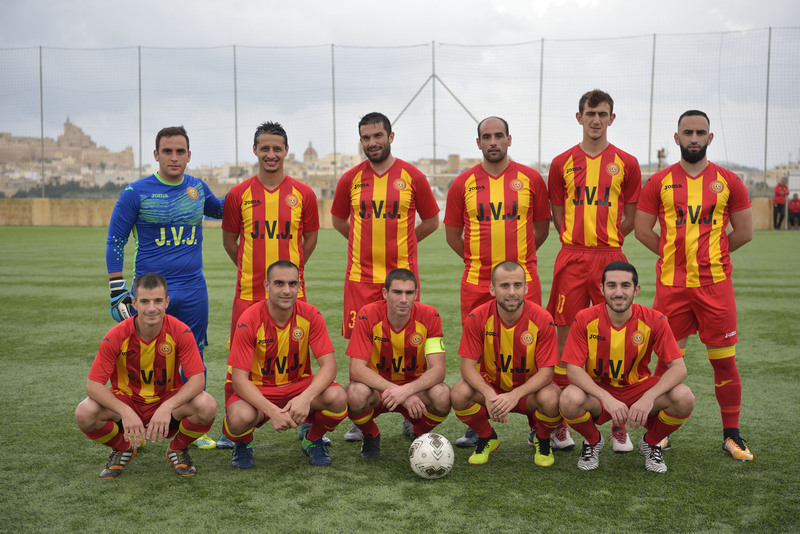 Brignoli, R. Zammit (C. Farrugia), C. Mercieca, S. Sultana, J. Theuma, C. Cauchi, C. Azzopardi, D. Micallef, L. Buttigieg, F. Kosova (A. Xiberras), L. Attard (C. Grima). J.P. Cassar, K. Borg, C. Bugeja, B. Meilak (F. Azzopardi), C. Debono, S. Dimech (J. Grima), L. Garcia Panesso, M. Debrincat (M. Azzopardi), M.M. Uzor, J.J. Sandobal Guarin, B. 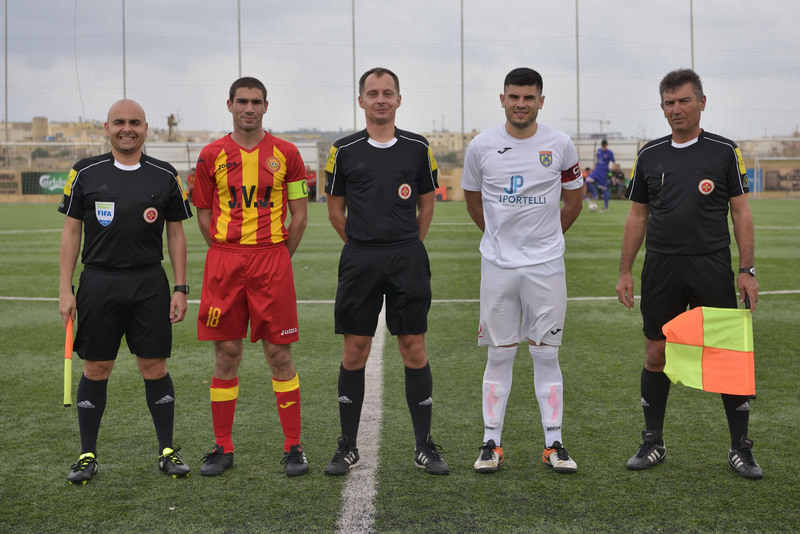 Polo Longarela. .
Munxar Falcons defeated second division side St Lawrence Spurs with a goal scored in each half and earned place with the last eight teams in the second phase of the second most important competition in Gozitan football. Munxar were the better team on the field for most of the encounter but they found it more difficult than expected to make sure of the qualification at an early stage of the match. The Falcons scored an early goal but had to wait until the last part of the match to score the second goal that actually put their minds at rest from the victory. St Lawrence tried to be challengers for the qualification and were in contention until they conceded their second goal, but they confirmed their limitations in attack that were exposed in the league matches so that they rarely managed to create serious danger to Munxar’s goalie. St Lawrence created the first serious scoring opportunity of the encounter. 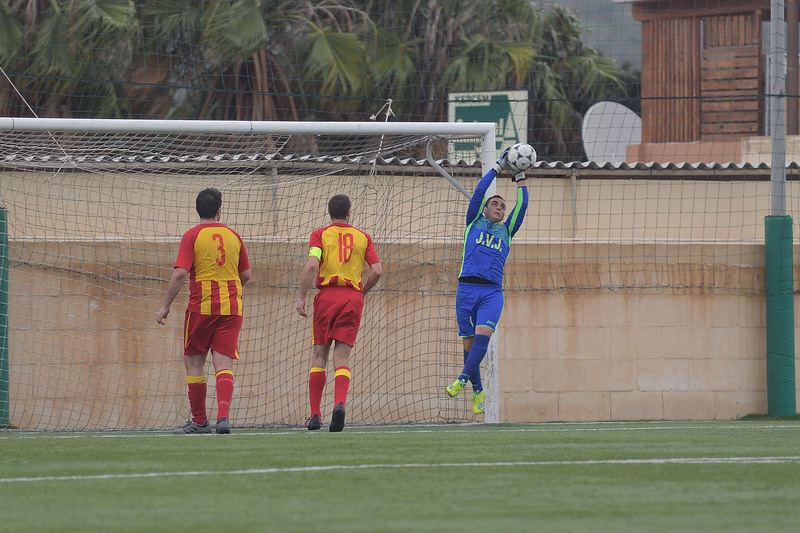 On 4 minutes Luke Attard entered Munxar’s area but his shot was neutralised without difficulty by goalie John Paul Cassar. 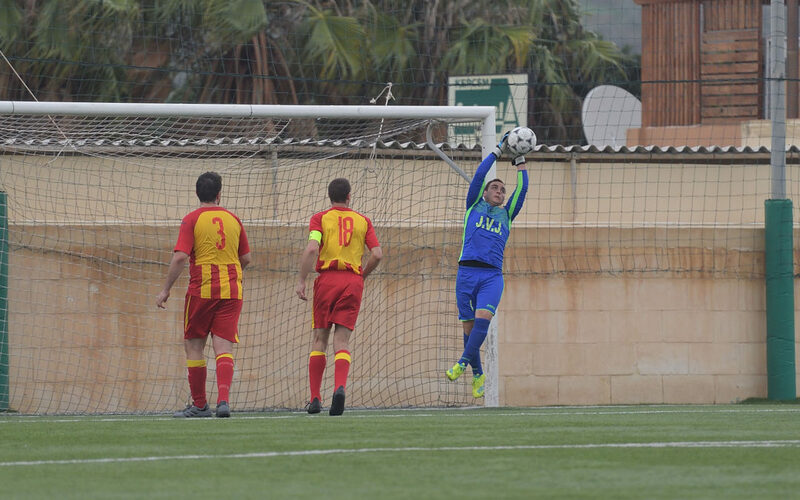 Munxar opened the score two minutes later when Leiner Garcia Panesso produced a good move inside St Lawrence’s area and from his low cross Steve Dimech concluded in goal from close distance. Munxar continued to produce offensive play within St Lawrence’s territory but did not manage to create danger inside St Lawrence’s area. Munxar however could have doubled the score on 32 minutes but a header by Matthias Micahel Uzor from a cross by Christian Bugeja hit the crossbar and the defense cleared the danger to a corner. On 39 minutes Munxar’s Jhon Jario Sandobal Guarin had an attempt that ended wide and less than a minute later a shot by Borja Polo Longarela ended high. On 42 minutes the same Polo Longarela had an attempt from a free kick that was saved to a corner by St Lawrence’s keeper Angelo Brignoli. Munxar created another potential scoring opportunity on 54 minutes through a strike by Christian Debono from outside the area that ended just wide. The Spurs had a good moment just after the hour mark and went very close to level the score on two separate occasions. On 62 minutes the Spurs operated a counter break through substitute Adrian Xiberras, who entered the area but Munxar’s goalie John Paul Cassar made a good intervention to block the close ranged attempt. One minute later the same Xiberras had a good shot from outside the area that was saved with difficulty to a corner by Munxar’s keeper. Munxar regained their territorial supremacy and on 68 minutes a header by Jhon Jario Sandobal Gurain following a free kick by Borja Polo Longarela ended wide. 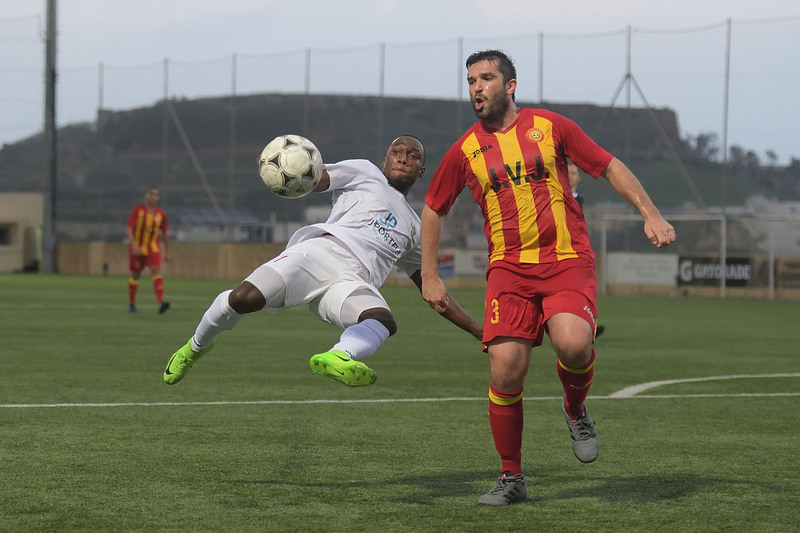 Munxar scored their second goal on 71 minutes when substitute Mario Azzopardi passed to the other substitute Joseph Grima inside St Lawrence’s area and the latter fired in goal with a low shot. 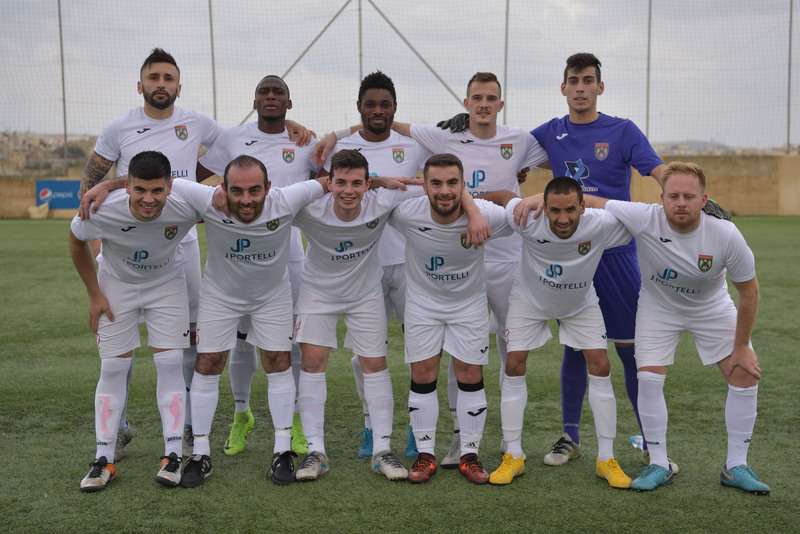 Until the end of the match Munxar continued to administer play and on two separate occasions they could have added at least another goal but shots by Borja Polo Longarela and Matthias Michael Uzor ended wide.